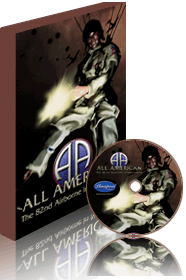 All American: The 82nd Airborne in Normandy is the sequel to the best selling, award winning 101: The Airborne Invasion of Normandy. 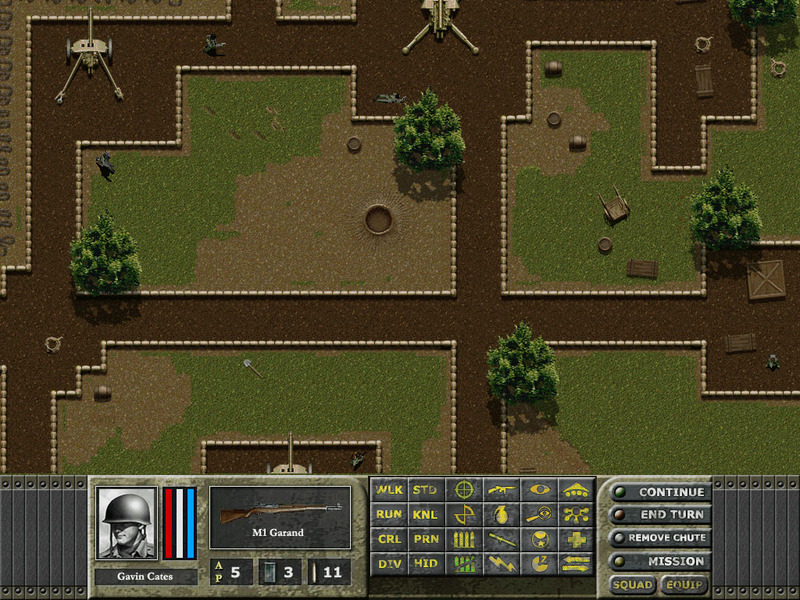 Like its predecessor 101, All American is a tactical level turn-based wargame set during the end of World War II. Focusing on the airborne assaults of the 82nd Airborne around Normandy during the invasion of Fortress Europe, All American is a detailed, highly realistic, yet eminently playable wargame. 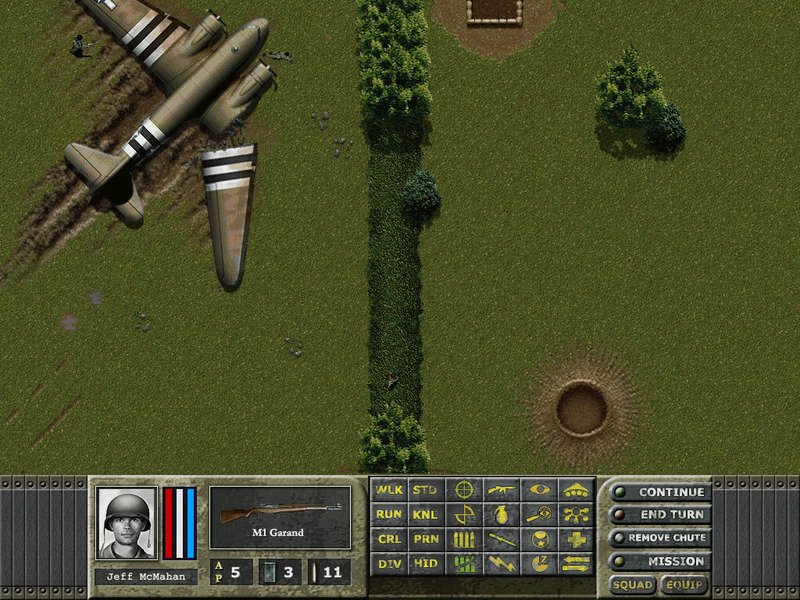 Players begin the game by choosing and equipping their stick (one plane load of paratroopers) from amongst 48 soldiers. Each soldier is a unique individual, with varied ratings and skills, for an almost RPG feel. More importantly, each trooper underneath your command will be looked at as an individual, not just another faceless unit to push around the map. The loss of a soldier will mean more than Paratrooper #6 was killed, it'll mean Charlie, your best sharpshooter, won't be taking out any more Kraut sentries across the map anymore. 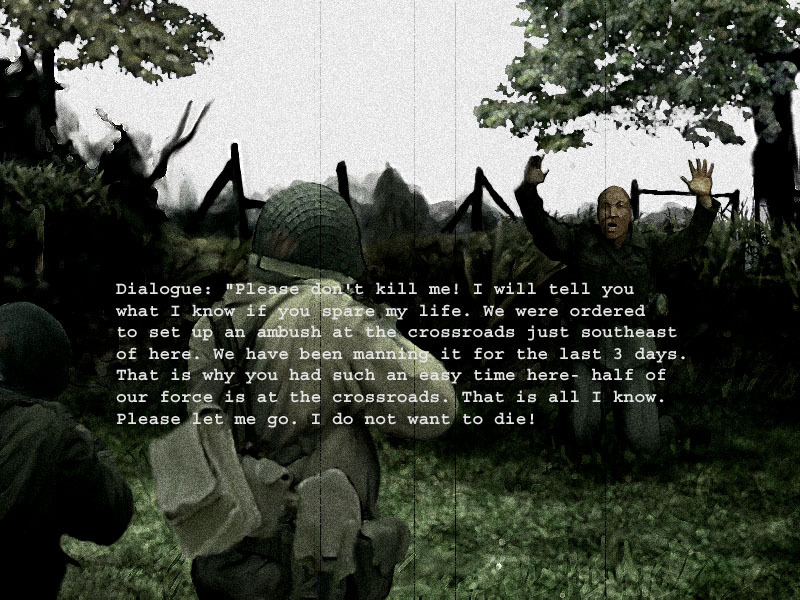 Once on the ground All American separates itself from all other tactical level wargames available by becoming one of the most realistic treatments of man to man combat ever gamed on a PC. You'll face practically everything a real commander faced during the drops. Your men will be scattered all over the countryside, your heavy equipment could have landed smack dab in the middle of a German encampment, and you have no idea where you are. No magic radar, no Sgt. Rock antics, nothing but your wits and skills to carry you to victory. Combat in All American is intense and brutal. All weapons are historically modeled for true-to-life, and not just game, effectiveness. Combine this with a damage system that is based on real life wound studies and you have a unparalleled combat system of the highest fidelity. 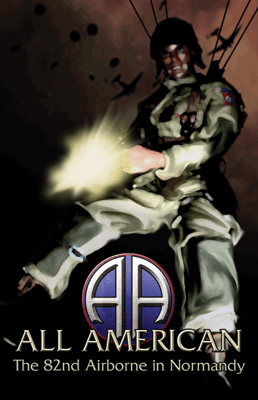 With a wide range of varied objectives that make up numerous primary and secondary missions available, the detailed combat system, and the realistic way the game unfolds, All American is a game that can be replayed over and over again. Over half a century ago the real soldiers of the 82nd met their objectives. With you in command will history repeat itself? - Based on the award-winning 101: The Airborne Invasion of Normandy game system and designed by the same designer, Tim Brooks. The sequel keeps everything that was great about 101 and adds to it. - Here are just some of the revisions from 101: all new art, music, commands, troops, missions, AI enhancements, and grenade stun effects. - Turn based gameplay. 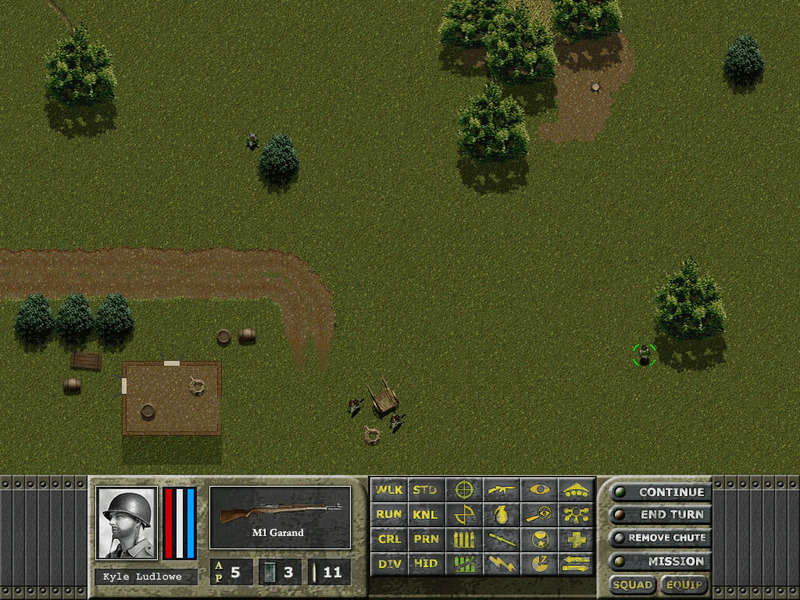 Tactical in nature, with individual soldiers and vehicles. - Nine campaigns, encompassing twenty seven missions. Nine primary missions and eighteen secondary missions. Take the bridgeheads over the Merderet River and much more! - Thirty-five weapon and explosive types, all modeled for historical accuracy. The damage model is based on real life WWII wound studies, for the most realistic combat results seen in a computer wargame. - Gorgeously rendered maps of the Normandy countryside that come alive thanks to the extreme attention to detail. Even shootable (or if you're a real sicko, grenadeable) cows are present! - Varied encounters, from nail biting firefights to mortar attacks to minefields and booby traps, and much more. - Forty-eight uniquely skilled paratroopers to choose from on the drop. You'll come to know each and every one of them over the course of the game. Who'll get the glory and who'll go home in a box? - Probably the most requested feature of the sequel, the group move! Yes, no more clicking on each soldier to trot across an empty map, now you can move entire groups at once. 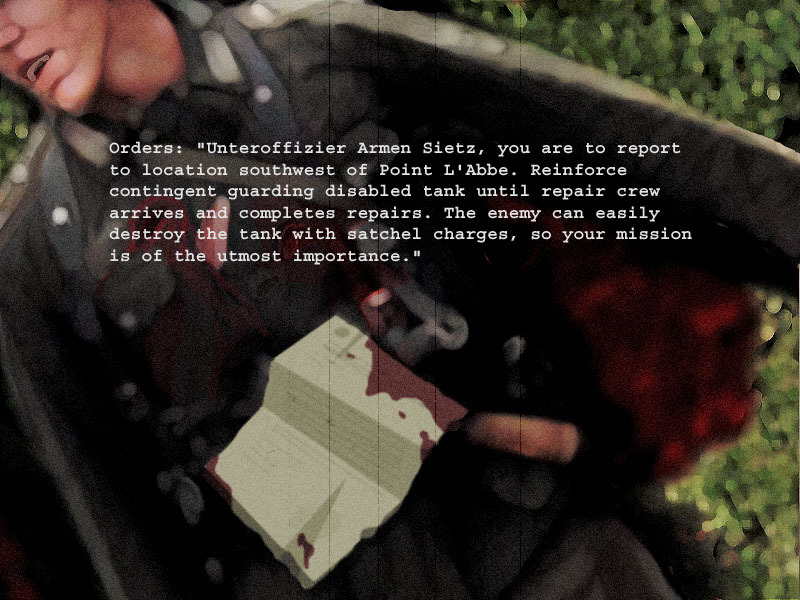 - Jump results reflect the actual jump results of the 82nd Airborne during the invasion. - Intuitive interface and plenty of action choices. Troops can walk, run, crawl, crouch, lay prone, and more. You can even now threaten enemy troops in an attempt to force their surrender! - Streamlined base in England to get you into the action quicker than ever. - All new manual chock full of insight from the designer on the how's and why's of All American, along with the usual high standard of gameplay instruction you come to expect from Shrapnel Games.